On first dialog you have to click on "More info" link. 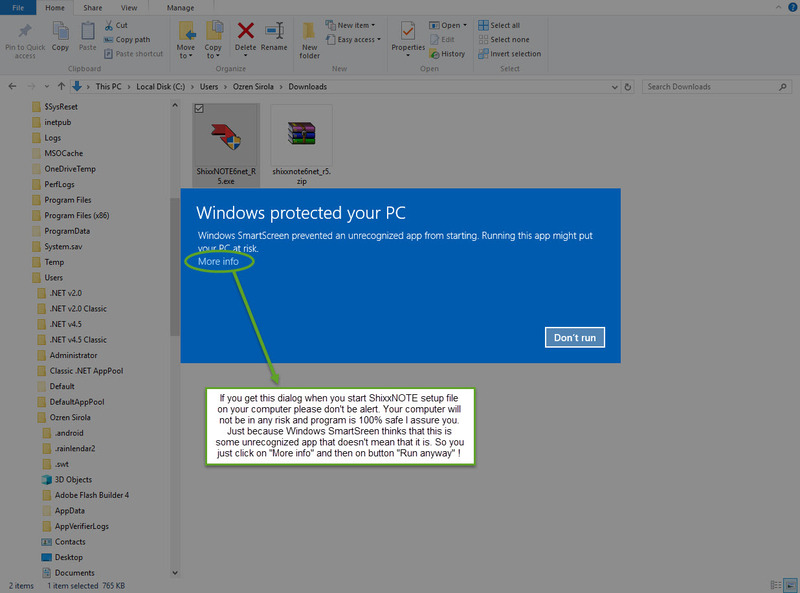 I am sorry for this but Microsoft decided that my program setup file is unrecognized. But don't worry my program is 100% safe and if any of you who installed ShixxNOTE 6.net Trial version or Registered version have some problems after installing program please write comment. Now I am little worried because people belive Microsoft rather than me, Ozren Sirola, ShixxNOTE program author. So now I am loosing my potential customers just because users are affraid or they doesn't know that they must click on "More info" and then "Run anyway" button. I hope this article and ShixxNOTE reputation (listed on English Wikipedia) will assure you that program is perfectly safe. 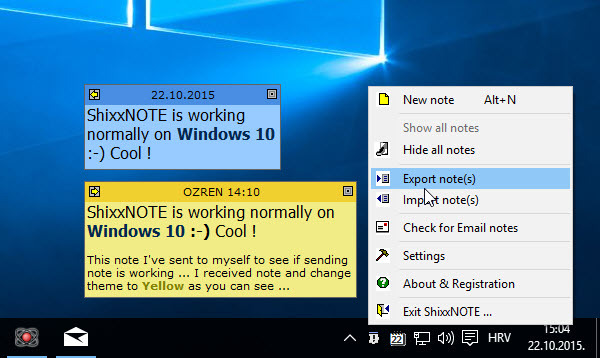 After Microsft released new operating system Windows 10 I had to check if ShixxNOTE 6.net is working as usual on it. Answer is YES. But there are some issues. First download of setup file when you got web browser warning, then when you pass this and start installation setup file you will get Windows “Program Compatibility Assistant”. Windows 10 warns you about program that there is no publisher name and ask question if you want to proceed anyway. If you reach this point then everything is OK and you will install ShixxNOTE newest version. 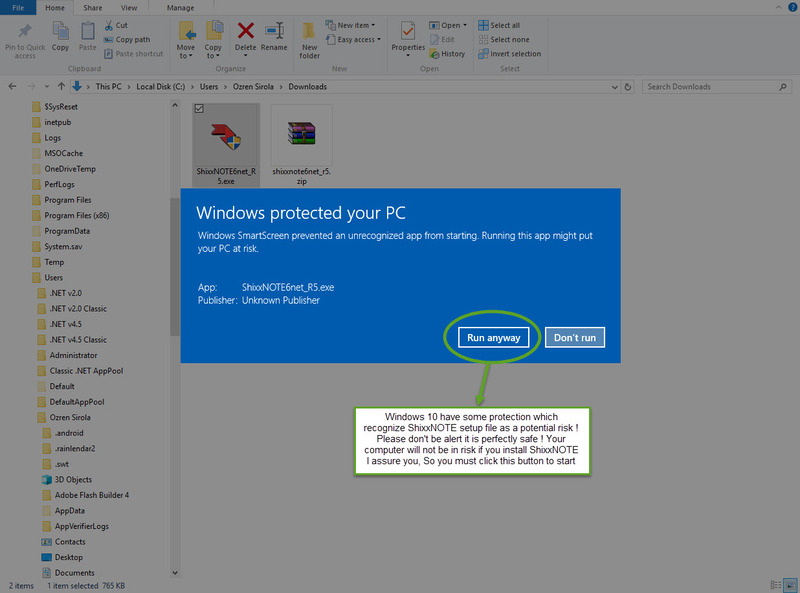 Many people are afraid and they click as Microsoft told them and they simply abort installation or download. I think that Windows 10 is a great OS better than 8.1 and it is cool. So maybe I will have to modify my setup program to be trusted by Microsoft and then write some manifest which will tell Microsoft that ShixxNOTE is program which can be trusted. Never mind maybe one day they will release some update and make this process easier. After you have installed ShixxNOTE program on your computer with Windows 10 running on it everything works as usual. I received mail that sending note via email is not working. I need to check this problem. But if you set that Outlook is your default email program I think sening notes via email will work. If you want to see program icon always you need to set task bar properties as on image below. 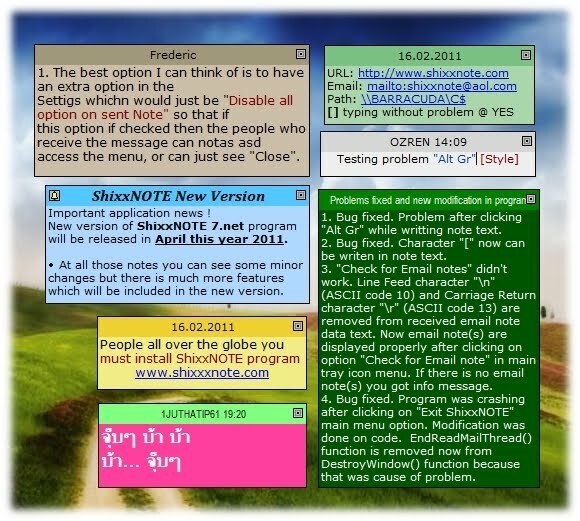 Try it and you will see that it is better than Windows Sticky notes which doesn’t have anything with communication. Till then use ShixxNOTE program as a stickies and for instant messaging. Since Google Chrome and other web browsers have been updated to new version I am having problem with simple download of ShixxNOTE program setup file (zip file). Because of that many of users doesn't know and they simply trust Google and they don't download ShixxNOTE program setup file. This is very big problem for me. And now I have to address to Google that ShixxNOTE is 100% secure for download. Here is the images I get on my Google Chrome (it is on Croatian language) but it is the same warning on any language. After I click on "Primary Download" image button I get this Google Chrome warning. So just to inform all who is reading this post do as you can see on image above and click on "Keep file" because I assure you that ShixxNOTE setup file (zip) is 100 percent valid and secure. I don't know why Google did this but now that is the only way you can download ShixxNOTE 6.net setup file. 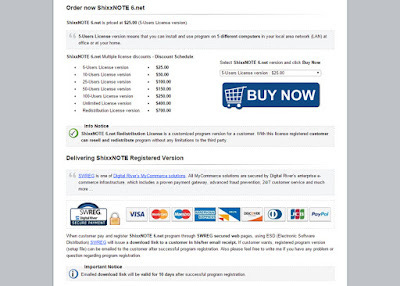 When ShixxNOTE program trial 30-days period expires you can register program if you like it. I hope you do and this is the way how to do it. Process is simple and very secure. 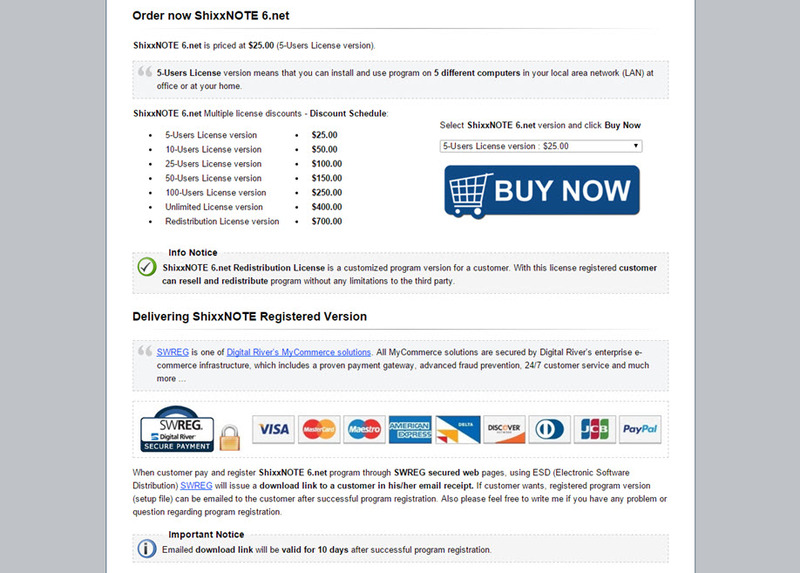 First you need to go to the program home page www.shixxnote.com and click on menu item "Order Now". 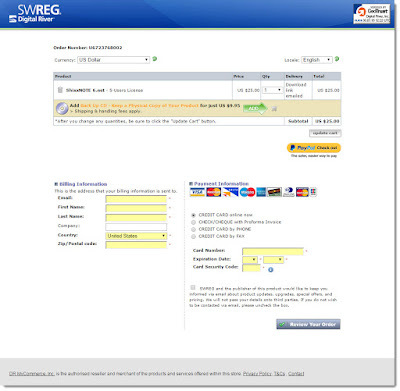 After you select license you want you must click on "Buy Now" image button and then you will be redirected to my payment processor company SWREG. On new ShixxNOTE program home page registration page looks like this. On that page you must select how will you pay and enter your info and after you finish, you will promptly get your download link for ShixxNOTE registered version. And that is all. 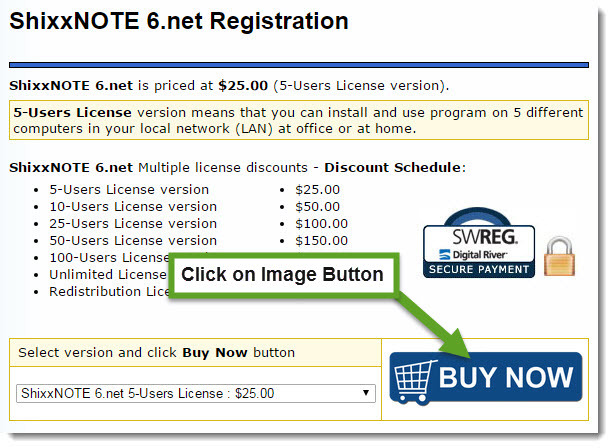 I hope now you will register your trial versions of ShixxNOTE 6.net you have installed. 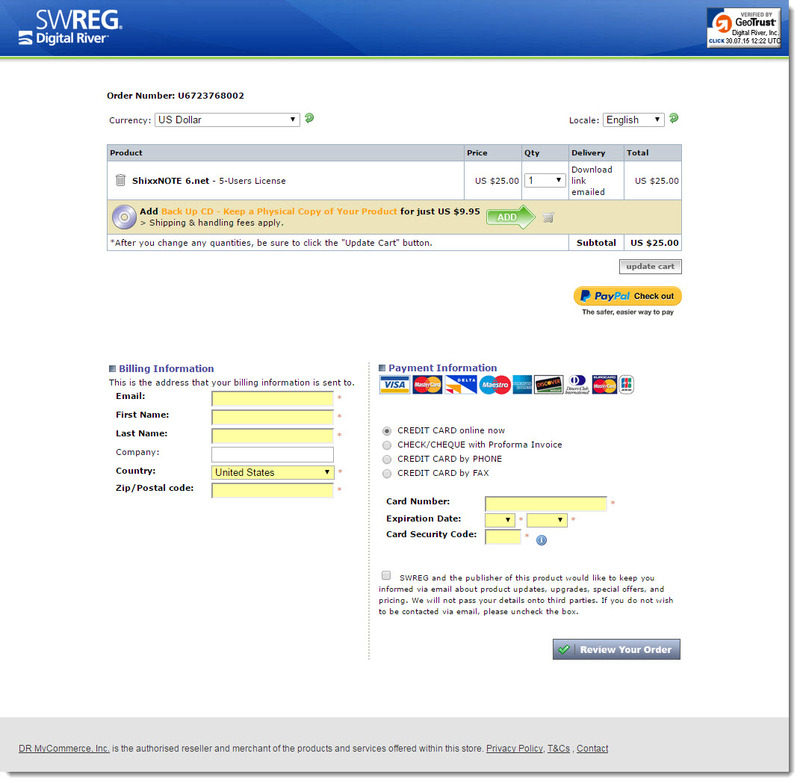 You can pay with any known payment type.